This is a list of schools in the Los Angeles Unified School District. The concept of zones is explained on the LAUSD website. 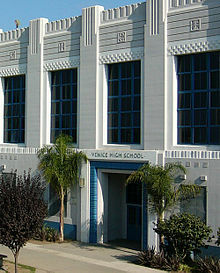 Valley Alternative Magnet School (Los Angeles) – currently the only K–12 Magnet School in LAUSD. Fair Avenue Elementary School – Established just after World War II (1946) as an "Overflow" school from Victory Boulevard School in North Hollywood – Bungalows were moved from Victory Boulevard School to Fair Avenue (near) Tunjunga Blvd in North Hollywood in an empty farm lot. 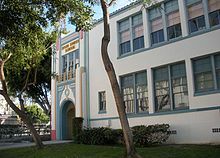 98th Street School - Located at 5431 W 98th Street, Westchester, CA. School Reopened in the 2000s as Bright Star Secondary Charter Academy. Airport Junior High School (Closed and Razed in 1975) - Located at 9000 Airport Boulevard, Westchester, CA. 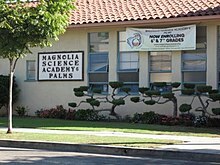 Anchorage Street School - Located at 104 E Anchorage Street, Marina Del Rey, CA. Merged to Westside Global Awareness Magnet. 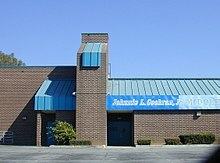 Collins Street Elementary School (Closed by the end of 2001-2002 school year) - Located at 5717 Rudnick Avenue, Woodland Hills, CA. This school was demolished in 2018. 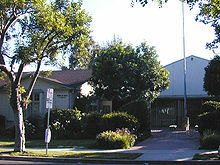 Collier Street School (1963-1988) - Located at 19722 Collier Street, Woodland Hills, CA. This School Reopened in 1990 as CHIME Institute's Schwarzenegger Community School. Custer Avenue School - located at Central LA. it was covered with freeway and now home to Downtown Magnets High School. Devonshire School - Located at 10045 Jumilla Avenue, Chatsworth, California. This School Became Home to Our Community School. Francisco Street School - located near Francisco Street near Central LA. It is now home to the Park DTLA. Hammel Street Elementary School (Closed 2010) - Located at 438 N Brannick Avenue. This School has Moved to a New Campus as William R. Anton Elementary School at 831 N Bonnie Beach Place near City Terrace While Hammel Street Elementary is Demolished and was Taken Over by the New Esteban E. Torres High School in 2010. 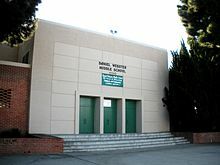 Highlander Road Elementary School (1962-2004) - Located at 23834 Highlander Road, Woodland Hills, CA. This school has also been demolished in 2016, same year as Oso Avenue School, to make way for Hale VAPA Magnet. Charles E. Hughes Middle School - Located at 5607 Capistrano Avenue, Woodland Hills, CA. This School is now home to Hughes Adult Learn Center. Indiana Street Elementary School - Now Home to Ramona Community High School. Lafayette Junior High School - Located at 1240 Naomi Avenue. School Closed in 1955 due to Decreasing Enrollment Figures. Now Used as a School District Office. 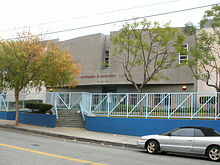 McDonnell Avenue School - Located at 4540 Michigan Ave, Los Angeles, CA. Merged in 1970's as Alphonso B. Perez Career and Transition Center. Oakdale Avenue School (1962-1976) Located at 6844 Oakdale Avenue, Winnetka, Los Angeles, CA. The School was sold to reopen as AGBU Manoogian-Demirdjian School. Oso Avenue Elementary School (Closed 2003) - Located at 5724 Oso Avenue, Woodland Hills, CA. Sadly, This School was demolished in 2016. 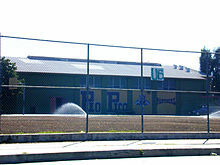 Palo Verde School - located in the Echo Park neighborhood. In the 1960s, the school and the remaining houses as well were all torn down to make way for the Dodger Stadium. 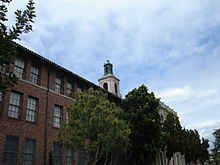 Louis Pasteur Junior High School - Located at 5931 W. 18th Street, Los Angeles, CA. 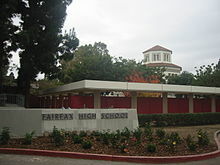 This school reopened in 1977 as Los Angeles Center for Enriched Studies. 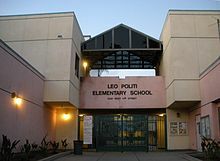 Platt Ranch Elementary School (1963-2003) - Located at 5345 Wilhelmina Avenue, Woodland Hills, CA. This former School has currently operated Class Acts Musical Theatre. But it was Planning to Reopen Soon. Prairie Street Elementary School - located on Prairie Street, Near California State University Northridge at Northridge, California. This School Closed in 1993 and Razed in 2004 to Make way for Parking Lot and Structure for CSUN. 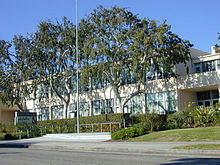 Sequoia Junior High School - located at 18605 Erwin Street, Tarzana, California. This School Reopened as Sherman Oaks Center for Enriched Studies. ^ "School Listings". 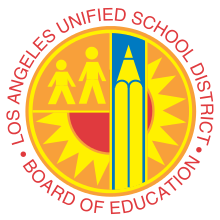 Los Angeles Unified School District. Retrieved 7 November 2016. ^ "About Zones of Choice". Los Angeles Unified School District. Retrieved 6 November 2016. ^ "Los Angeles International Charter High School". www.laicharter.org. Retrieved 2017-09-12. ^ "Gratts Elementary : Main Menu". www.lausd.k12.ca.us. Retrieved 2017-09-12.